Having a beautiful landscape can provide you with a range of benefits, from increasing your property’s value to providing an attractive environment that you and your loved ones can enjoy. Homeowners with unique visions for their outdoor living areas often need to invest a lot of time, effort, and resources to get what they want. At Imagine Hardscape & Landscape, LLC in Sparks, NV, we understand this and offer our services to fulfill your landscaping and hardscaping needs. Our family-owned-and-operated company consists of professionals who are more than willing to take on projects that others won’t. We focus on what each of our clients wants so that we can make their custom outdoor living area a reality. “I asked a friend of mine to help me with framing a footer that I botched for a wall I was building. Austin and Beau came to my house after a 12-hour plus day and set the forms for me. When I asked how much they wanted, they didn't charge. I contracted them the next day for the 5,000 plus square feet of flat work I needed completed. I had a certain vision of what I wanted and they made it happen with expertise that made it safe for me and my family. Their experience and personality were refreshing, and I never once felt they were trying to push unnecessary costs or materials. I was so impressed that I referred them to my father who is very skeptical of people, and he contracted them as well. The crew came out, and in one day hustled, completing an ungodly amount of prep work totaling 12 plus hours. The next day, they completed a beautiful slab and prepped for the next phase. All and all, I expected this job to take several weeks but with their hard work, it appears it'll be finished in four days. I thank you, boys and girl, for the experience, and I'll be having you and this company complete the remainder of my Winchester house endeavors in the very near future. Call us to request a quote for our services. 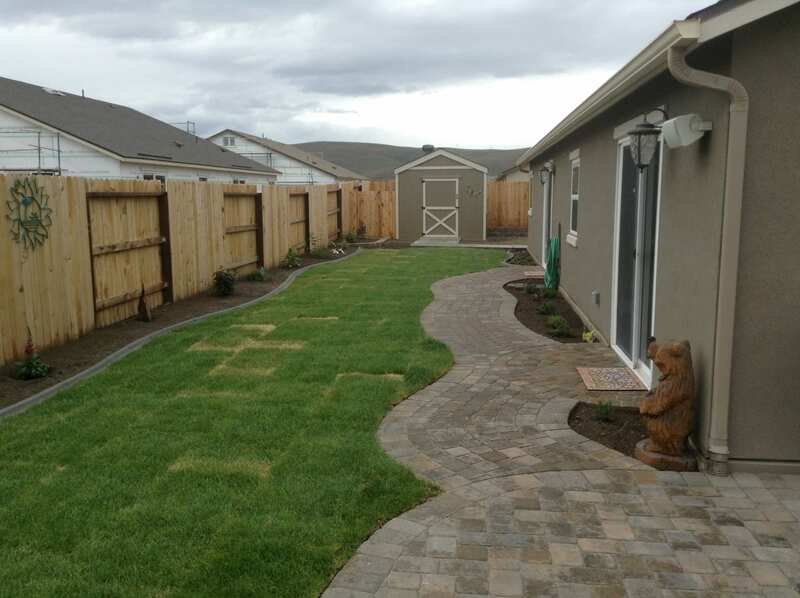 Whether you want us to install pavers or work on your irrigation, you can count on us to deliver quality work in a professional and timely manner.